Western Digital Corporation (NASDAQ: WDC), a data infrastructure leader, today announced it is extending the breadth and depth of its data center portfolio into the rapidly evolving in-memory computing market segment. 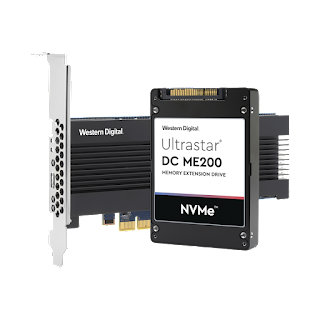 The new Ultrastar® DC ME200 Memory Extension Drive is the company’s first product that enables customers to better optimize in-memory system capacity/performance for running demanding applications that drive today’s real-time analytics and business insights. The Ultrastar memory drive provides cost-efficient, near-DRAM performance for companies to expand memory pools sizes up to 8X the DRAM capacity, while offering substantial CAPEX and OPEX savings. With larger memory pools, application developers can take advantage of memory-aware performance and capacity optimizations, and expand faster data processing across many applications and workloads. The Ultrastar memory drive is ideal for in-memory applications such as Redis™, Memcached, Apache Spark™ and large-scale databases, providing higher capacities over current storage-class memory products. The Ultrastar memory drive is drop-in ready and PCIe-device compatible with most Intel® x86 servers. Available in 1TiB, 2TiB and 4TiB, the solution requires no modifications to the operating system, system hardware, firmware or application stacks. For expandability, a 1U server can typically support up to 24TiB of system memory using the Ultrastar DC ME200 drive for in-memory compute clusters. Supported server interfaces are NVMe™ U.2 and PCIe AIC (add-in-card) HH-HL. Additional product information can be found here. The Ultrastar memory drive is currently available and sampling with select customers. Western Digital will be showcasing its full range of solutions for HPC, cloud and analytics at Supercomputing 2018 (Booth #3901), including its new Ultrastar memory drive, its family of Ultrastar enterprise-class HDDs and SSDs as well at its ActiveScale™ and IntelliFlash™ systems, and itsOpenFlex™ and Ultrastar Platforms. Western Digital is continuing its transformation in a fast-moving data technology landscape, offering an exceptionally broad storage portfolio to address diverse needs. As part of this transformation, the company is unifying its brands to provide customers with more brand clarity, portfolio flexibility and simplification of choice. Over the coming months, customers will see products previously branded as Tegile™ and HGST, as well as some SanDisk® and WD® commercial and enterprise products, transition to Western Digital® branding. Visit the company’s new website atwww.westerndigital.com for more information. Product specifications subject to change without notice. Not all products are available in all regions of the world. Memory capacity is indicated by GiB and TiB and based on binary values such that one gibibyte (GiB) is equal to 230 bytes and one tebibyte (TiB) is equal to 1024 GiB (240) bytes. Storage capacity and endurance are indicated by TB and PB where one PB equals is 1015 bytes. Accessible capacity can vary from stated capacity due to software, formatting, and other factors. 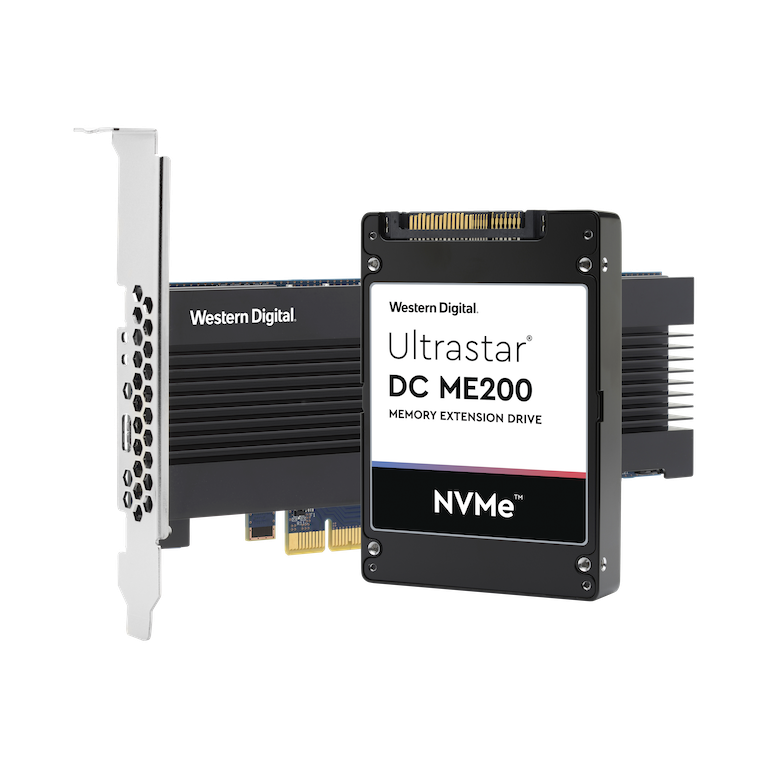 This news release contains certain forward-looking statements, including the expected availability, applications, benefits, capabilities, capacities, development, features, market, and performance of the company’s Ultrastar drives. There are a number of risks and uncertainties that may cause these forward-looking statements to be inaccurate including, among others: volatility in global economic conditions; business conditions and growth in the storage ecosystem; impact of competitive products and pricing; market acceptance and cost of commodity materials and specialized product components; actions by competitors; unexpected advances in competing technologies; our development and introduction of products based on new technologies and expansion into new data storage markets; risks associated with acquisitions, mergers and joint ventures; difficulties or delays in manufacturing; and other risks and uncertainties listed in the company's filings with the Securities and Exchange Commission, including our most recently filed periodic report to which your attention is directed. The company undertakes no obligation to update the information in this release in the event facts or circumstances change after the date of this release. © 2018 Western Digital Corporation or its affiliates. All rights reserved. Western Digital, the Western Digital logo, G-Technology, SanDisk, Tegile, Upthere, WD, ActiveScale, IntelliFlash, OpenFlex, and Ultrastar are registered trademarks or trademarks of Western Digital Corporation or its affiliates in the US and/or other countries. Apache and Apache Spark are either registered trademarks or trademarks of the Apache Software Foundation in the United States and/or other countries. Redis is a trademark of Redis Labs Ltd. Any rights therein are reserved to Redis Labs Ltd. Any use by Western Digital is for referential purposes only and does not indicate any sponsorship, endorsement or affiliation between Redis and Western Digital. Intel is a trademark of Intel Corporation or its subsidiaries in the U.S. and/or other countries. All other marks are the property of their respective owners.